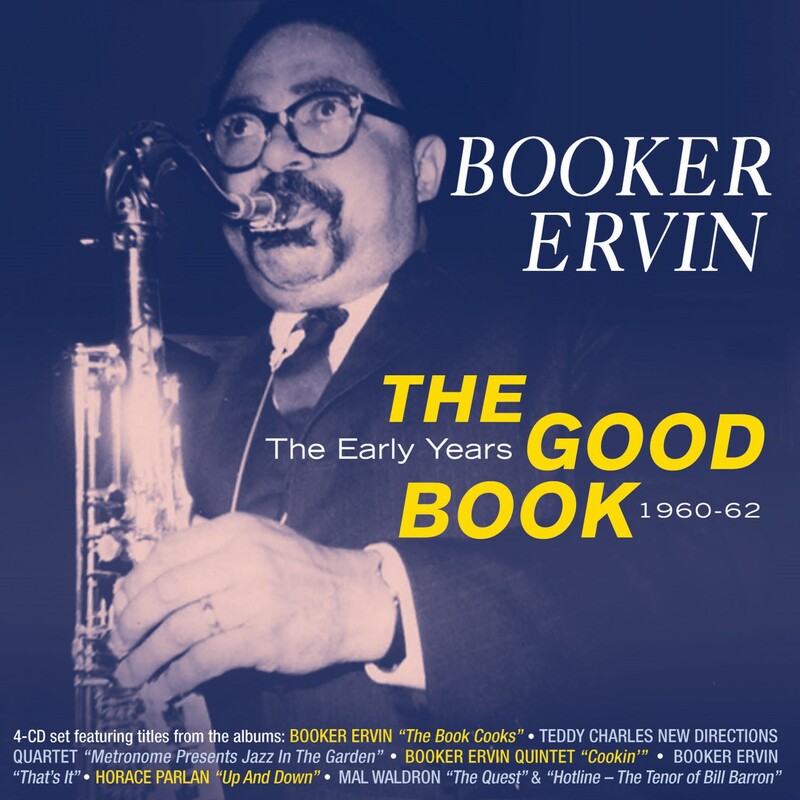 Acrobat released a 4CD set of Booker Ervin: The Good Book – The Early Years 1960-1962. It is a compilation of performances from Ervin’s debut album The Book Cooks, That’s It and guest appearances on albums by Horace Parlan, Mal Waldron, Teddy Charles and Bill Barron. At the time, the Denison, Texas-born Ervin had just made his mark in the group of Charles Mingus, his forceful, fire and brimstone-style being a big asset on classic albums as, among others, Mingus Ah Um and Blues & Roots. Ervin was ready to capitalize on his recent exposure through the Mingus association, but regardless of his recording activity life as a freelancer in New York was tough. It turned out that the tenor saxophonist never really gained the public acclaim he deserved. There are a number of misunderstandings about the life and career of Booker Ervin, a tenor saxophonist adored by legions of classic jazz fans and, to be sure, certainly also derided by some because of his supposedly ‘superficial’ wailing style. For one thing, Booker Ervin is a sincere, passionate and unique saxophonist but not the harmonically advanced Coltranesque musician a number of critics and aficionados believed him to be. The English saxophonist and writer Simon Spillett, who wrote the liner notes to The Good Book, tackles other myths as well about the life and style of Ervin, who died in 1969 at the age of 39. Rarely does the jazz fan encounter such extensive and insightful essays. Spillett has written the definitive account of Ervin’s life and offers a balanced evaluation of his legacy in a booklet that would look far from silly as a separate publication. On the contrary. The Book Cooks showed Ervin’s potential, That’s It perfectly nails his singular aesthetic. The contrast of his style with Eric Dolphy’s on Mal Waldron’s The Quest is one of the reasons why that album is epic. Acrobat also picked intriguing albums by Bill Barron (Hot Line – The Tenor Of Bill Barron) and Teddy Charles (Metronome Presents Jazz In The Garden At The Museum Of Modern Art), both very collectable LP’s. Hopefully Acrobat will focus on mid-and late career in the future. Check the Acrobat website here. Buy The Good Book here. 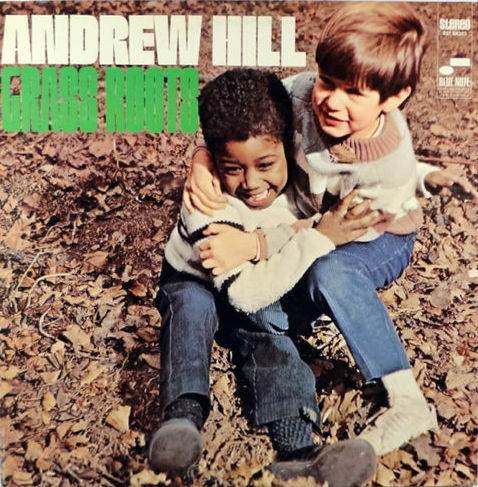 One of the most accessible albums of pianist Andrew Hill’s imposing stretch of Blue Note releases in the sixties, 1968’s Grass Roots is still a thoroughly challenging affair. Hill, who had one foot in the avantgarde, one foot in the mainstream, never received the kind of recognition like pianists Herbie Hancock and McCoy Tyner but was highly acclaimed by serious jazz fans and critics. Though more under the radar, the pianist, who passed away in 2007, tread a similar path of the creative elder statesman who’s admired for legendary recordings on Blue Note in the sixties. Mention Black Fire, Point Of Departure or Judgment to any self-respecting, avant-leaning jazz fan and goosebumps will start to pop up on his/her arms like ants on a smashed lollypop on the sidewalk. 24-carat classics in which rhythm, harmony and melody are altered extremely in order to find fresh ways of expression. Hill doesn’t buy the method of discarding them for the sake of freedom, which turns out to be illusionary anyway, but favors a bottom-up approach: change through evolution. In this regard, the title of Grass Roots is telling. Cerebral, introspective. Call his style what you like, at any rate, Hill’s notes cannot but have a strong pull on the listener. If notes are words, Hill is describing a descent into the mysterious abyss of the mind. A labyrinth of ephemeral sensations, a place Hill searches and researches like a child a playground. The playground isn’t necessarily dark and damp, the search is intense but strangely uplifting. For Hill, life is sweet, sour, a ‘dance macabre’. And his yearning to explore it is the essence of his art. A ‘pianistic’ intellectual? Certainly not. Hill’s longing is also firmly focused on rhythm, the root of his trade – jazz. Hill’s beats are clever, complex constructions that nonetheless often remain surprisingly close to the toe-tappin’ sounds commonly flowing out of a Harlem BBQ joint. His penchant for playing against the rhythm is evident in Bayou Red, a modal piece with majestic solo statements by the bandleader. Hill’s other modal tune, Venture Inward (yes, do!) boasts sparse, dense chords that are accompanied by meandering lines which are spiced with, sometimes sliced by, clusters of seemingly jangling but remarkably precise notes. How nice to be ‘out’, ‘in’, ‘in’, ‘out’, ending up with the best of two worlds, like the kid daughter with a dollar who said ‘no’ to daddy when he asked her if mom’d given her the pocket money. The concise, hip line of Grass Roots has a circular nature, like a viper who keeps biting his tail. The compositions has a sly groove and finds Hill in elegant form. Soul Special’s a boogaloo, Hill-style, the measures slightly differing from the standard blocks of eight. The bunch that gathered at Van Gelder Studio on August 5, 1968 proves sensitive to Hill’s needs. It’s a major league crew. Ron Carter and drummer Freddie Waits, a versatile drummer who, for instance, played on both Ray Bryant’s 1966’s soul jazz gem These Boots Are Made For Walkin’ and Richard Davis’ deconstruction of Bird and Monk, the 1973’s Muse album Ephistrophy/Now’s The Time, are obviously enjoying the extended chord of Bayou Red’s A-part, hanging on to it like a windsurfer to his sail, subsequently relishing the release with booming, sizzling fills. Carter would continue his collaboration with Hill, playing on the subsequent albums Lift Every Voice and Passing Ships. Lee Morgan attunes nicely to the repertoire. Generally heated, Morgan alternates his fiery approach with subdued toyings with the beat and measured valve effects, particularly in Soul Special. His bright ensemble playing with Booker Ervin lingers in the mind. Booker Ervin’s lines in Bayou Red make up the musical equivalent of a snake that dances in the basket of a Punjabi snake charmer. Ervin, Mr. Blues Wail, the roaring, advanced player who came into prominence with Charles Mingus in 1959, is relatively subdued, perhaps under the influence of the bandleader’s organic jazz menu. Bon appetit, this dish is the bomb. 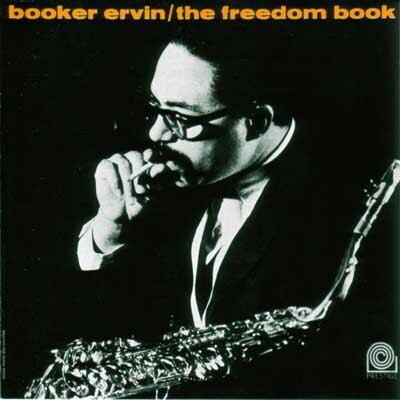 The Freedom Book is one of Booker Ervin’s finest recordings. The grossly underappreciated tenor saxophonist displays all his strong points: a strongly individual, emotional style that communicates directly to the listener, long flowingly coherent lines and last but not least, that forceful, throat-grabbing, wailing sound. Ervin is best known for his long association (1959-64) with Charles Mingus, appearing on landmark albums as Mingus Ah Um, Mingus Dynasty and Blues & Roots. He also made lasting contributions to albums by Don Patterson (Hip Cake Walk, The Exciting New Organ Of Don Patterson), Roy Haynes (Cracklin’) and Mal Waldron (The Quest), among others. From 1964 till 1966, and again in 1968, Ervin worked in Europe. He also performed in Nigeria in 1960 with friend and pianist Randy Weston. While Weston gained quite a lot of recognition with his ‘world musical’ jazz approach, Ervin never really got a foothold in Europe and returned to the US in 1968. Geeky info: Downbeat Magazine ran a eulogy of Booker Ervin in their issue of October 15, 1970. Coincidentally, at the bottom of the page is a tiny news report on the fact that Randy Weston opened a jazz club in Tangiers, Morocco. By 1970, Booker Ervin had lived for nearly three years in Randy Weston’s apartment in NYC. Ervin died of kidney disease on August 31, 1970. The “Book” series released by Prestige (Ervin was nicknamed “Book”) constitute some of Ervin’s best recorded output. The Freedom Book is the first album in a row that includes The Song Book, The Blues Book and The Space Book. The hi-voltage energy of The Freedom Book is particularly apparent in A Lunar Tune. The quirky blues melody puts you on the edge of your seat. Subsequently, the charged work of the fabulous rhythm section and furiously wailing, coherent phrases of Ervin are sure to leave you breathless, almost to the point of suffocating! It’s a stellar performance. Jaki Byard, a longtime member of the Mingus group as well, demonstrates his idiosyncratic, masterful blend of bop and tradition to full effect. Two tunes suggest that Booker Ervin digested more than a dose of classic swing. He blows a tough ballad, Randy Weston’s Cry Me Not, displaying the assertiveness and big sound of Coleman Hawkins and Don Byas. At the same time, Ervin’s fluent lines reveal the influence of Dexter Gordon. Both Ervin and Gordon are seldom, if ever, short on ideas and their harmonic sense is keen. Grant’s Stand comes across as a swing tune for the new age, wherein Ervin sounds like a hybrid of Illinois Jacquet and John Coltrane. All the while, Booker Ervin’s indomitable wail reminds us who we are dealing with. A Day To Mourn – that presumably deals about the emotions following the JFK assassination on November 22, 1963 – is a moody piece with a vivid middle section. Drummer Alan Dawson’s Al’s In veers from a slow Eastern-flavoured intro into a fast part that is an example of the energetic, responsive interplay of the group. Arguably, Ervin never got the popular recognition that was his due because his hybrid style didn’t fit in the neat, small-minded categorizations both critics and audiences often firmly held unto in the sixties. Booker Ervin may not have been as advanced as Coltrane or Sonny Rollins, nor as influential as Dexter Gordon. But he surely belongs to the top rank of his tenor sax generation. Ample evidence abound. The Freedom Book is just one piece of it. 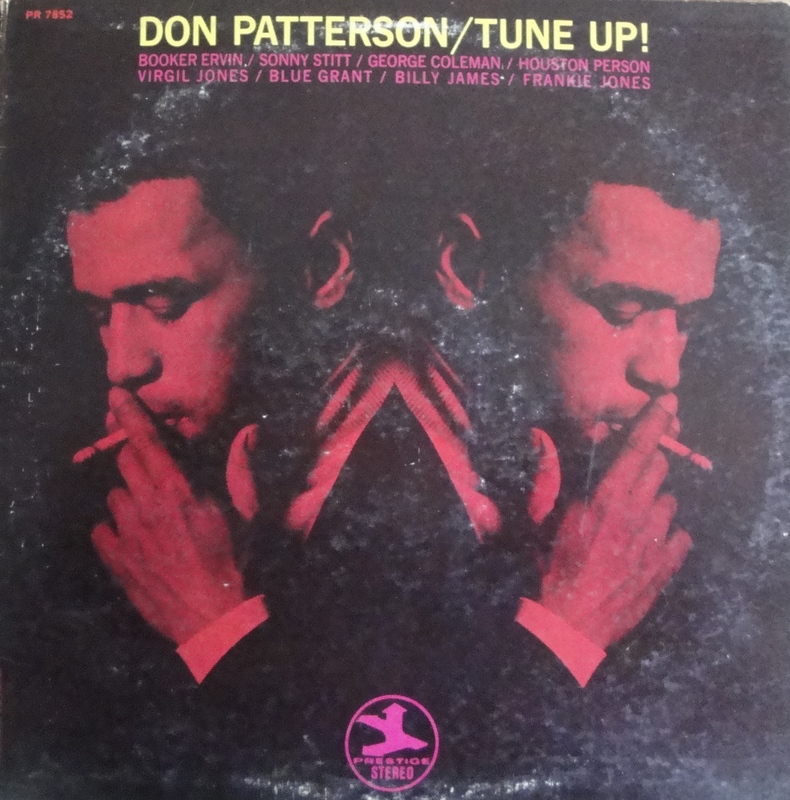 A very confident Don Patterson made the most of his de facto debut (Goin’ Down Home was a Patterson session as a leader for Cadet in 1963, but was not released until 1966) on Prestige. 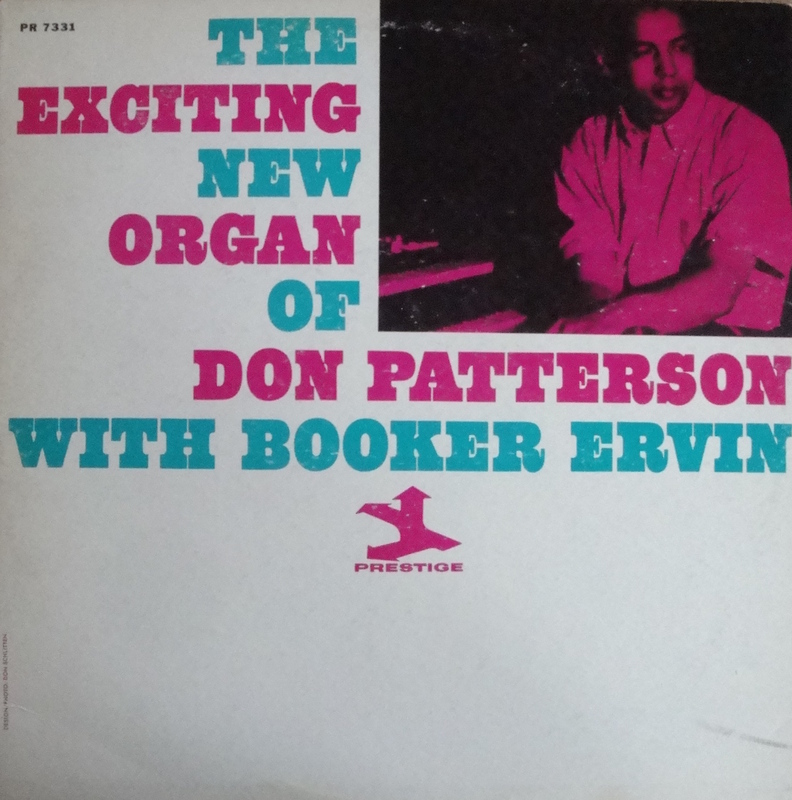 Eschewing the use of guitar, The Exciting New Organ Of Don Patterson stresses the potential of the organ in the era of advanced hard bop. Presumably, as it goes, Prestige headquarters called it The Exciting New Organ Of Don Patterson for marketing purposes primarily, along the same lines of, for instance, Atlantic’s idea behind Ornette Coleman’s The Shape Of Jazz To Come; not a title Coleman was said to be particularly fond of, and I assume Patterson also was too bright and modest to appreciate his album title very much. Furthermore, isn’t it a bit shaky on a linguistic level? Naturally, it isn’t the organ of Don Patterson that is exciting. As if said Hammond B3 would make an entree in some corner bistro, where two Scarlett Johansson-type dames’d whisper: “Wow, that organ’s really exciting!” Albeit a tad overweight, one might add. Of course, what they say, either consciously or winsomely, is that the man seated behind that giant machine made up of wood, metal tonewheel, electromagnetic pick-up, a row of keyboards and countless pulls and stops, creates quite a fervor. In that case, they’re correct. As far as ‘new’ (music) is concerned: the adjective had become stale even by then; in jazz, as in most art forms, an artistic endeavor is never completely new, but adds fresh (entertaining and/or often disconcerting) views to an already rich heritage. It’s partly new though in the manner hereafter discussed. Three years of experience playing alongside tenor and alto giant Sonny Stitt saw Patterson cooperating with guitar player Paul Weeden, and the remaining decade he would strike up an engaging companionship with Pat Martino. Martino and Patterson certainly inspired eachother to career heights. Without the guitar, however, Patterson is far from handicapped. The dynamics are not so much better as different. A whole bit of elbow room is created and judged by the manner in which Patterson takes it, for him it must be assumed a welcome deviation from the organ/sax/guitar-format. Whereas in When Johnny Comes Marching Home Patterson doesn’t stray far from the methods of Jimmy Smith (who recorded the traditional tune on Crazy Baby in 1960) – in renaissance terminology Patterson surpasses imitatio and comes close to aemulatio – Patterson original S’Bout Time is a whole different ballgame. 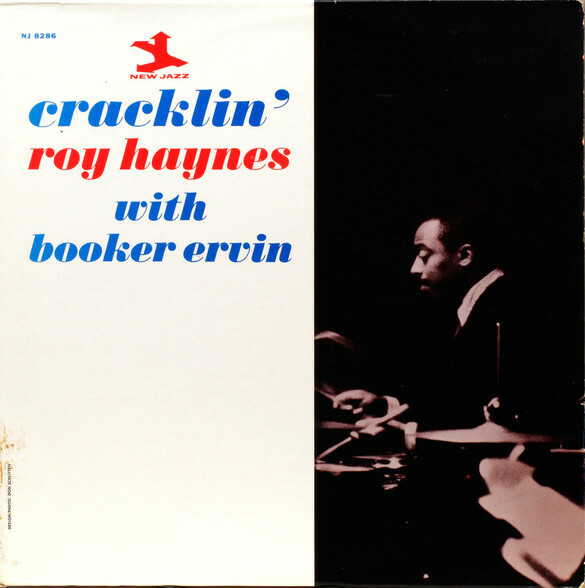 By far the album’s greatest achievement, (eclipsing the rendition of Sonny Rollins’ Oleo, itself a fine performance that receives meticulous attention to its tricky theme and a fair dose of fast-fingered bop-blues riffs from Patterson and tenorist Booker Ervin, and Up In Betty’s Room, a lively blues composition containing some freewheeling improvisation as well as a too distorted B3 sound near the end) S’Bout Time stretches the boundaries of soul jazz by way of a modal “feel” reminiscent of the work of contemporaries such as Joe Henderson, Wayne Shorter and Herbie Hancock. Horn and piano players, yes, since theirs is the broad-minded approach Patterson felt comfortable with and challenged by. A sassy build-up from drummer Billy James and Patterson’s “walkin” bass lines is followed by a simple melody that is somewhat in the vein of (a speeded-up) So What, from whence Booker Ervin takes off. And I do mean take off! Ervin, an astute contributor to many of Charles Mingus’ finest recordings, is fiery all the way, splendid in his combination of blues and the depth of Coltrane. Patterson’s answer to Ervin’s spontaneous combustion is dynamic, coherent, unashamedly freeflowing. With only two chord changes to play with, and no percussive guitar obstacles, Patterson really stretches out, leaving smart spaces, playfully running up and down the scale and veering from robust behind-the-beat-accents to delicate, suave bopeology. Patterson uses his right hand almost exclusively and the effect is mesmerizing. After four and a half minutes of classy soloing, Ervin re-enters for a few heated bars and the trio trades fours down to the coda. It’s a powerful statement from a refreshing record of organ jazz.